The Aromatherapy Air Humidifier function adds moisture to the air to help you sleep better, cough less and alleviate dry sinuses. 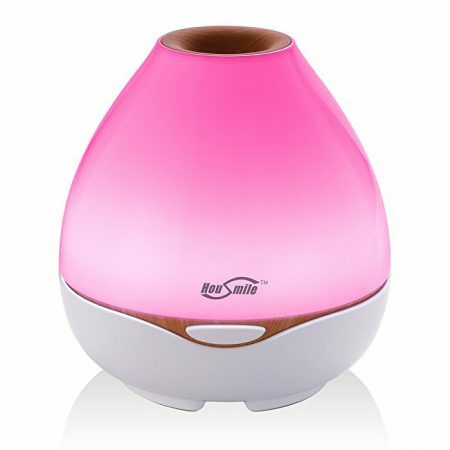 This handy unit also diffuses your favorite scented oils without heat, so their holistic properties stay intact. 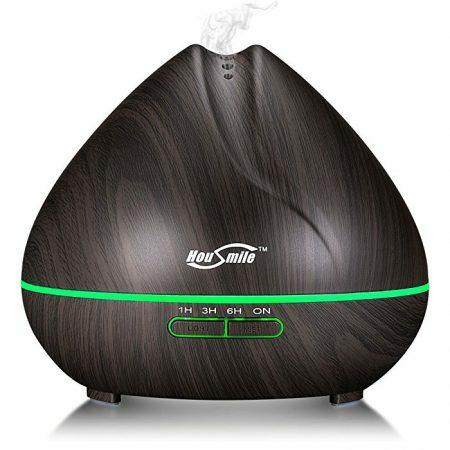 Healthful moist air smells fresh and clean. Aroma Cold Air Diffuser uses Ultrasonic waves to instantly vaporize water and essential oil in the tank, to produce a cool,dry fragrant mist.The Aromatherapy Air Humidifier function adds moisture to the air to help you sleep better, cough less and alleviate dry sinuses. 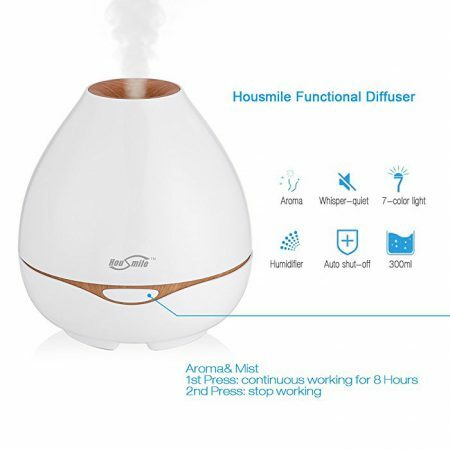 This handy unit also diffuses your favorite scented oils without heat, so their holistic properties stay intact. 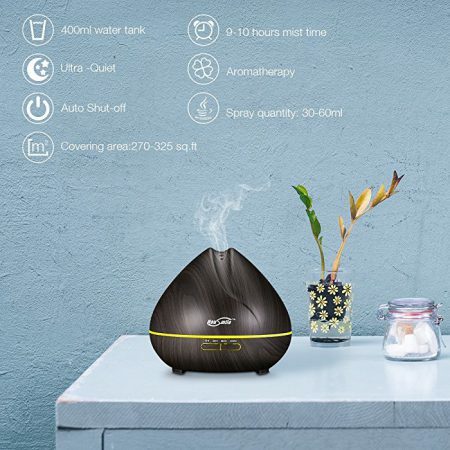 Healthful moist air smells fresh and clean. 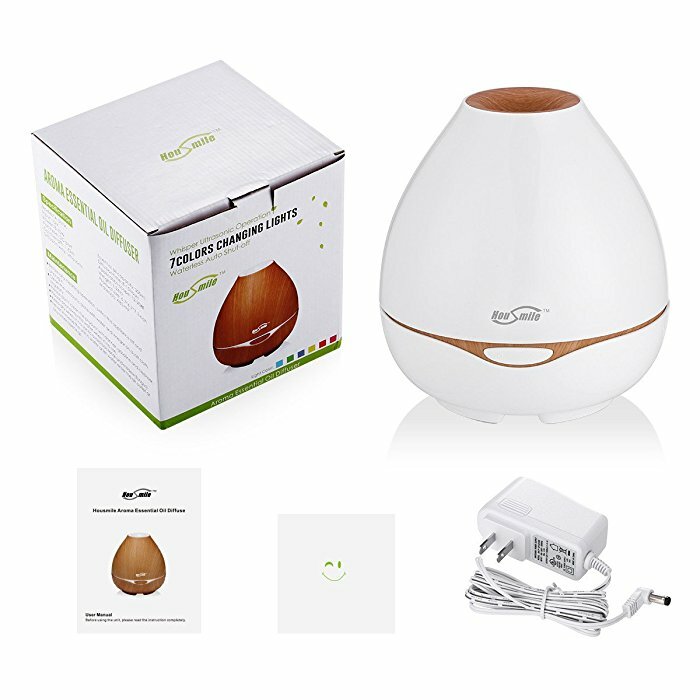 Unique Compact Design: This aroma diffuser looks natural and beautiful with wood grain coating and a portable size for home decoration. 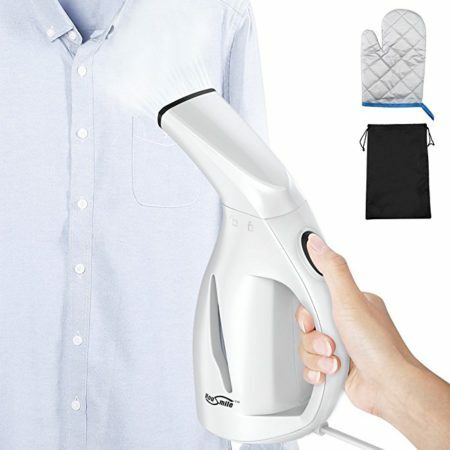 Automatic Off Safety System: The reliable safety system when the water is low, it will turn off automatically to protects the product from being damage. 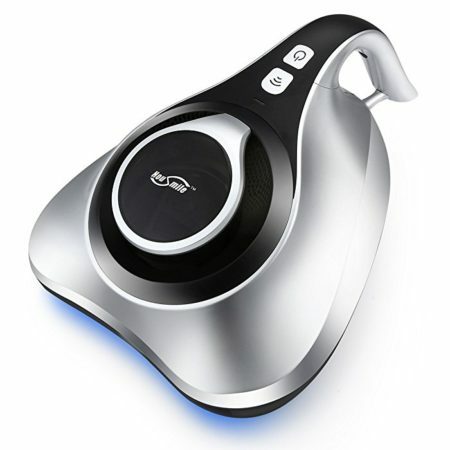 7 Color Changing LED Lamps: Comfortable color will give you a perfect day. 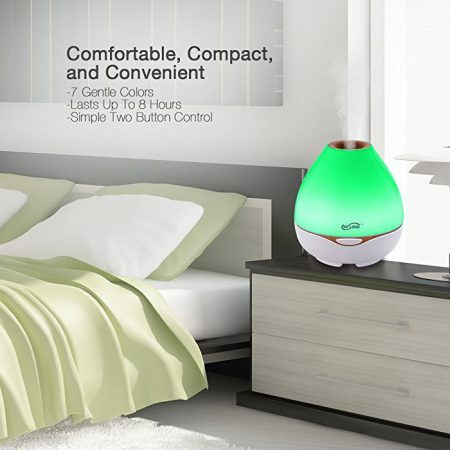 This diffuser has 7 changing color for you to chose from. You can choose to stop on one color, let it transform into 7 various colors or switch off the light. Large Capacity: This aroma diffuser has a 300ml water capacity. 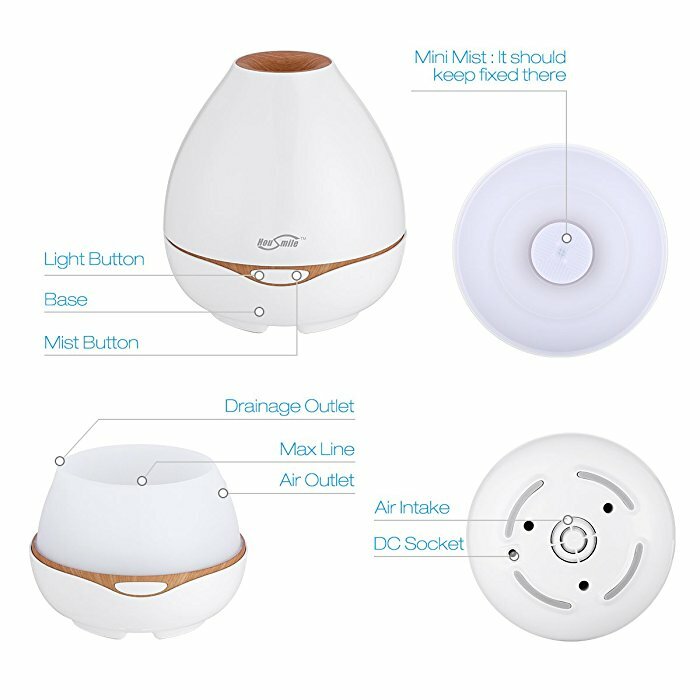 The mist mode can last 8 hours by simply pressing the mist button. 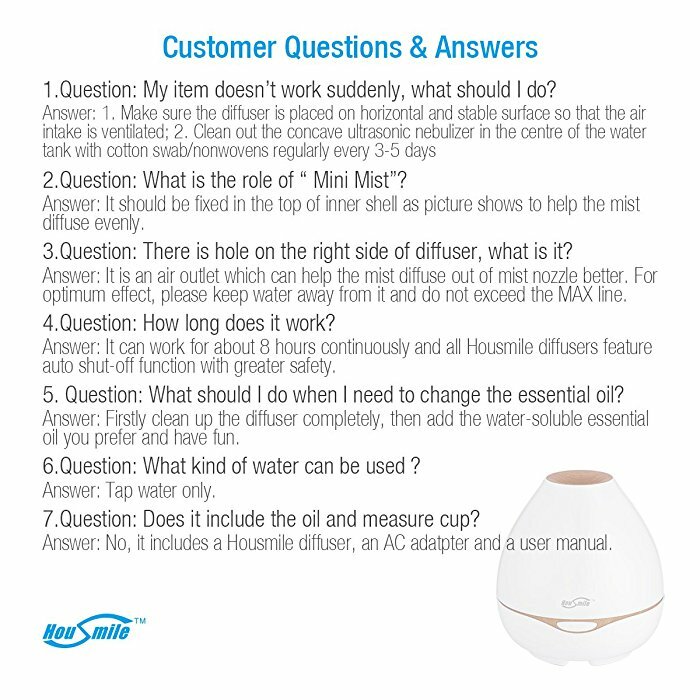 Humidify Your Room: Add a few drops of essential oil( NOT INCLUDED), you can have the whole room freshly humidified, perfect for home, office, yoga, spa, any room of your house. Please use tap water only. 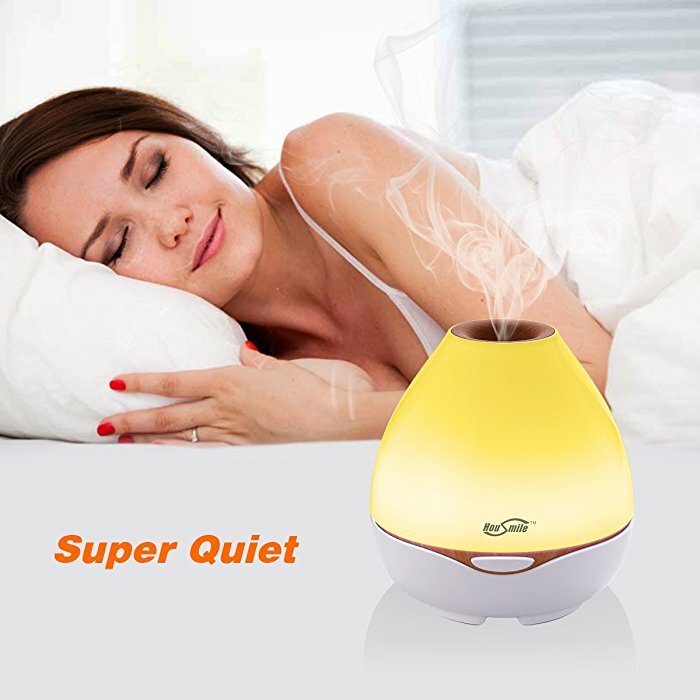 Please keep essential oil 100% natural without burning or heating (NOT INCLUDED). 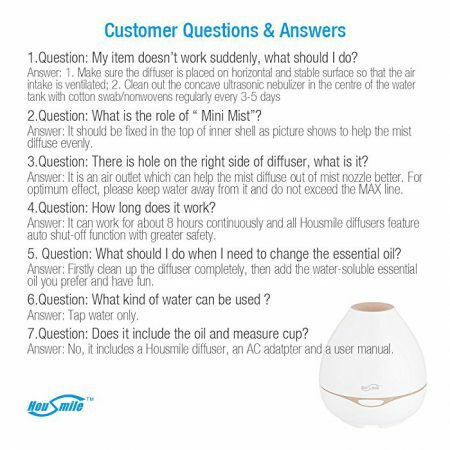 Only water-soluble essential oil is available. Please do not exceed the MAX LINE when adding water. 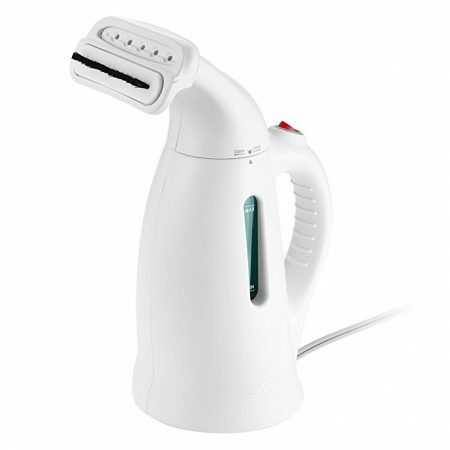 Please clean out ultrasonic nebulizer once a week with cotton swab.